Term 2 is SOLD OUT. No class on public holidays – 25th of April. 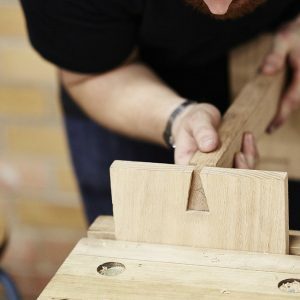 Evening tutor sessions cater for students at different stages of woodworking ability, from beginners looking to discover a new skill, to intermediate students wanting to increase and refine their existing skill set. Woodworking tools and equipment are provided. 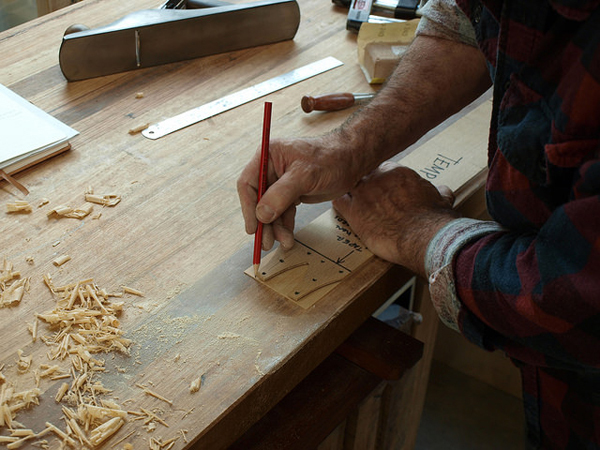 Although students are not required to bring any tools, they may find it beneficial to bring planes or chisels that they own to get advice on bringing them up to optimum performance levels. Class numbers are limited to eight students, to ensure that each individual is given adequate time with the tutor addressing their specific ability and project. Each student is provided with a bench to utilize and storage space for timber and or developing product. All students will be guided through a number of small set tasks as an introduction to our workshop facility and the fundamental skills in marking out, tool handling, sharpening, machine operation and most importantly personal safety. All materials and resources are provided for these starter projects. Following the successful completion of the introduction tasks, students are then free to work on projects of their own choosing. 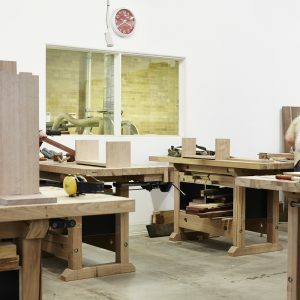 Tutors assist students throughout the stages of each individual project, offering advice and tuition customized to the students specific woodworking needs. 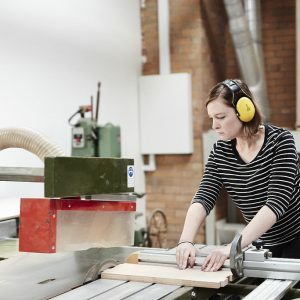 Tutors also assist with project design, timber choice, methods of construction, application of finish, responsible work practices and safe machine operation. Students will be required to source the timber and hardware for their individual project. Handsome & Co supplies the consumables you will require such as glue, sandpaper, timber filler, screws, masks and protective equipment. Enrolment is a term-by-term basis, there is no specific due date for the completion of an individuals work. Handsome and Co students attend as many terms as they wish. Some will complete only one project over a couple of terms, others will choose to develop their woodworking skills over several terms and years, completing multiple pieces.